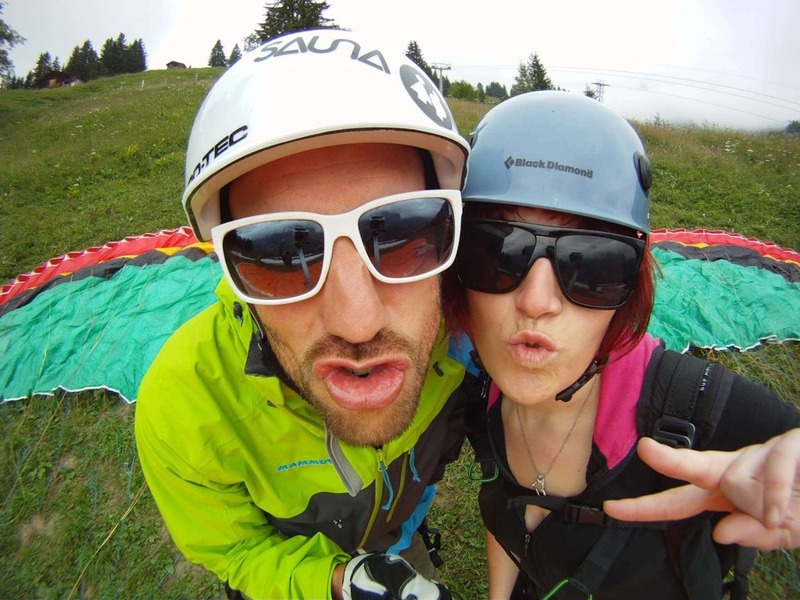 Welcome to Airtime Paragliding – the only way to Fly! 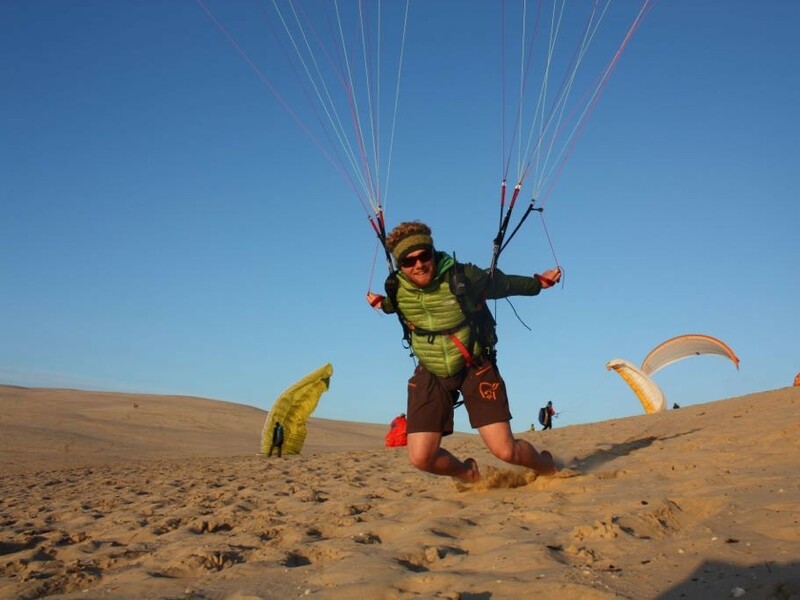 Airtime Paragliding was founded after over 20 years of flying experience around the World. Our committed team possess a pure passion for Flying and the absolute desire to share this unforgettable experience with our passengers. 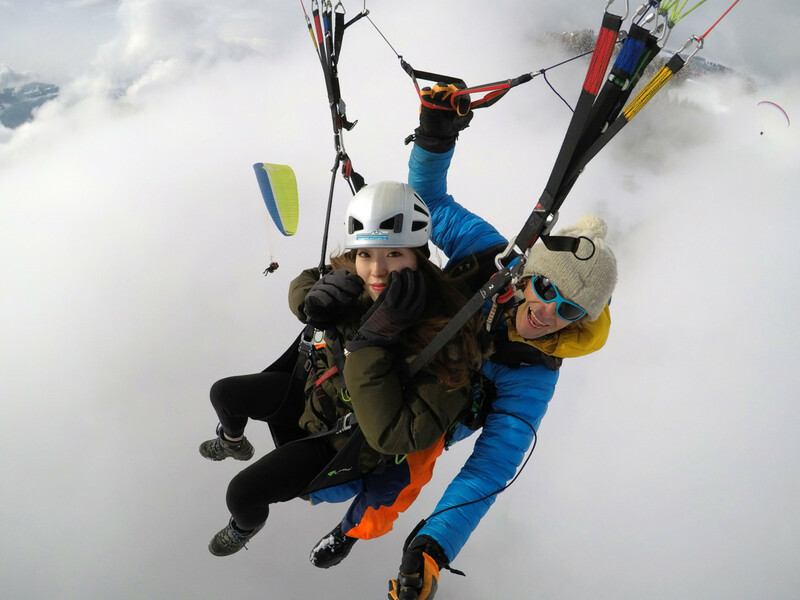 Tandem Paragliding is the ultimate experience for those who want to experience the pure weightlessness of flying combined with breathtaking scenery and awe-inspiring natural beauty. 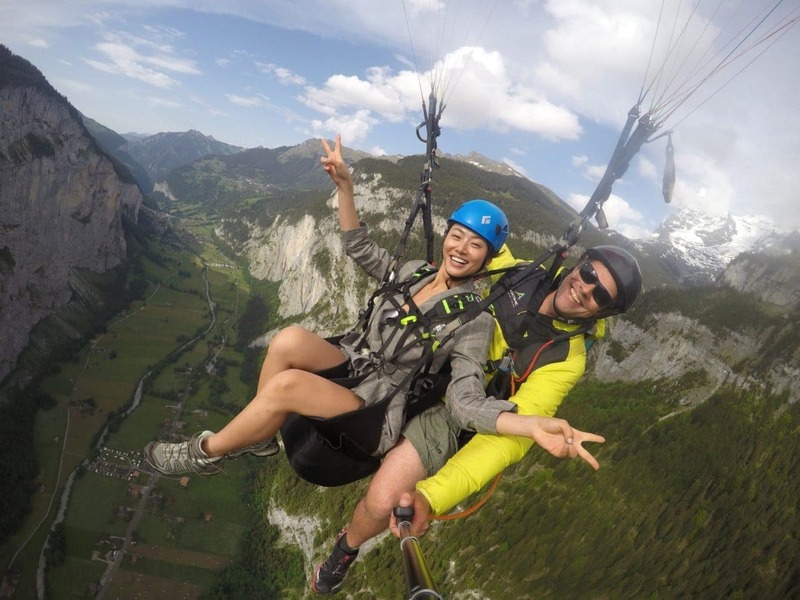 Our Professionally trained and qualified Paragliding Pilots are committed to ensuring Safety First combined with a Friendly and personal service. We take a short walk to our Take- Off area (short 10 minute uphill walk from Mürren), where your Pilot will provide a comprehensive Briefing. 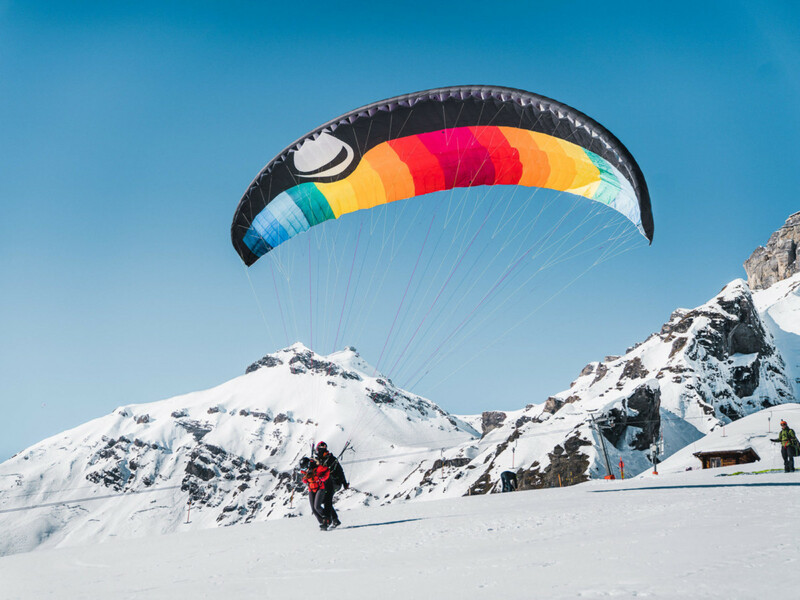 There is no jumping, no cliff edge and we take a few running steps to allow the Paraglider to take lift off – lifting you and your Pilot into the air where you will sit comfortably while soaring over the Alps! As many Guests to the area hold one of the local or Swiss Travel Passes, our price does not include the cost from Stechelberg to the take off. For those Guests not holding one of the Passes, ehe single cable car ticket from Stechelberg to Mürren is just 11.40CHF (price correct at time of writing), and the journey takes 10 minutes. This journey may be covered by your travel pass – check with your travel pass provider. You are also welcome to meet your pilot directly in Mürren. We can pick you up from your accommodation in Lauterbrunnen, the train station, or Airtime Cafe, and give you a ride to the Schilthornbahn cablecar station. If you prefer, you can meet your pilot directly in Mürren at the Schilthorn cable car station. Just next to the Schilthornbahn cable car station, in Stechelberg. We can transport you back to Lauterbrunnen, or if you are feeling especially energised from your Flight – the walk along the Valley takes less than 1 hour! Based in Mürren? Simply hop on the cablecar. The Flight time is approximately 15-20 minutes, depending on conditions. Our Double Airtime flight is just that – double the airtime, at 30-40 minutes. Our Pilots are not constricted to time and endeavour to ensure the flight lasts as long as the conditions allow – on average longer than our minimum timings. We take off in Mürren (1650m) around 850metres above our landing field in Stechelberg (800m); and we are able to soar much higher, using thermals, if conditions allow! Yes, as long as it is a compact camera/GoPro and can be secured to you. No DSLRs or phones, for safety reasons. Yes, if it is a small bag. If it is too large to fly with, you can simply send it down via cable car (See Schilthorn counter for details), and collect it after landing! No, Im afraid not – just one person per pilot. Photos are 30CHF; photos AND video (s) are 40CHF. We give you a USB stick to take them with you after the flight – no need to book beforehand, you can decide after the flight if you would like them. 1 – Prebook online with a credit card, on our website, to ensure you have the date and time you want. 2 – Pay directly with your pilot after your flight. Credit card payments have a 2% fee. 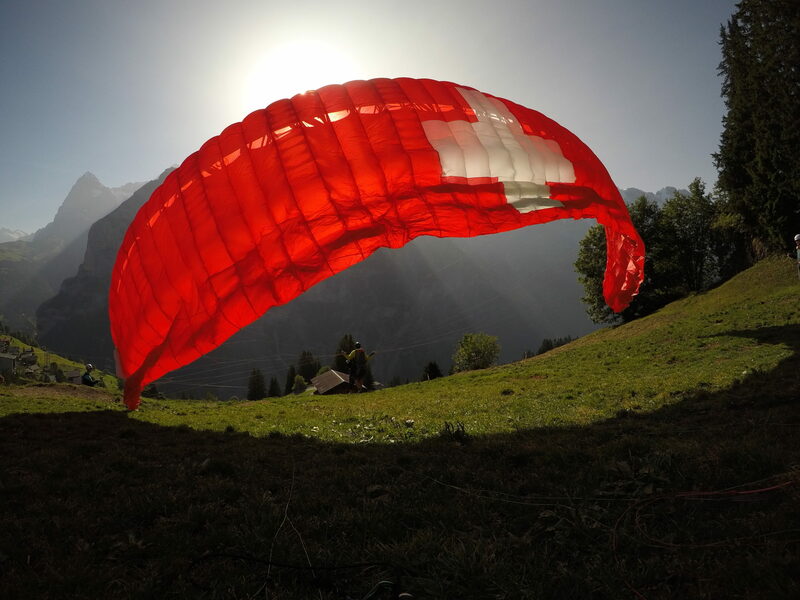 Please WhatsApp or call us direct on +41(0)79 247 8463 or email info@airtime-paragliding.ch. Complimentary drink after your flight at Airtime Café in Lauterbrunnen. As many Guests to the area hold one of the local or Swiss Travel Passes, our price does not include the cost from Stechelberg to the take off. For those Guests not holding one of the Passes, ehe single cable car ticket from Stechelberg to Mürren is just 11.40CHF (price correct at time of writing), and the journey takes 10 minutes. This journey may be covered by your travel pass – check with your travel pass provider. You are also welcome to meet your pilot directly in Mürren. We can pick you up from your accommodation in Lauterbrunnen, the train station, or Airtime Cafe, and give you a ride to the Schilthornbahn cablecar station. If you prefer, you can meet your pilot directly in Mürren at the Schilthorn cable car station.